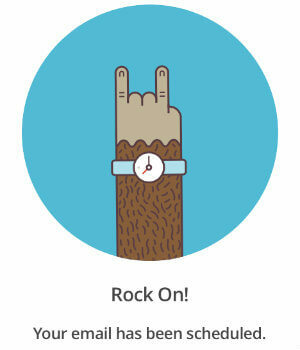 We think MailChimp is simply awesome for email marketing and here are our top 5 reasons why. You don’t have to love monkeys to read this, but it helps! In last week’s post, An Introduction to Lead Magnets: How to use your WordPress blog to grow your email list, we looked at the importance of growing your email list in order to turn subscribers into potential customers. In order to do this, there are two crucial things you’ll need: a WordPress blog and some email marketing software. But why..? Why do you need email marketing? Email marketing basically means engaging with your audience via the use of email. This usually involves sending out a regular email newsletter with updates, special offers, information and advice. If you have a blog it would also include links to your latest blog posts, either as an automated RSS feed, or as manual links that you insert yourself. You can also send out one-off emails to inform your readers about an event, special offer, or urgent news item you want them to know about before your next scheduled newsletter. 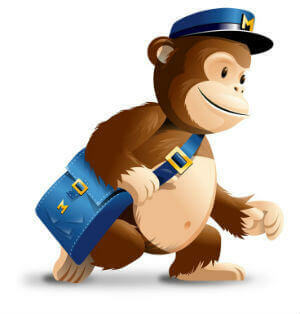 As we mentioned last week, when it comes to email marketing providers, we just love MailChimp. And we’re not the only ones! Founded in 2001 and with over 100 employees currently on their books, MailChimp welcomed nearly 3.5million new users last year alone. And they’re growing fast. MailChimp’s “Forever Free” account is perfect for new businesses or those just starting out on their email marketing journey. You get a subscriber list of 2,000 and a monthly send limit of 12,000 emails. For free! It’s easy to set up and offers a low risk introduction to the world of email marketing. If your email list grows beyond this, or you need a higher send limit, you can easily upgrade to one of their paid accounts, but in our experience the free account suits most people’s needs. To see how easy it is to set up an account, click the link below to watch our free MailChimp tutorial video. MailChimp is super user-friendly. And super flexible. We love that it’s been designed for non-technical people, so anyone can send out professional looking emails without needing a marketing degree! The application was first launched in 2001 and has been going from strength to strength ever since. They’re continually improving the design to make the user interface simpler, clearer and the most user-friendly it can possibly be. You just choose a template and then set your layout and text using their simple drag-and-drop design feature. For a sneak peek inside the MailChimp app, check out our free video guide below. Would you like to receive a free video tutorial showing you how to set up a free MailChimp account for your email marketing, plus a sneak peek into the application itself? Simply sign up to our blog and we'll send it right over, along with loads of other free goodies. MailChimp is packed with useful features to make your life easier. Well, when it comes to email marketing at least – they’re not miracle workers! Scheduling: this allows you to prepare your emails in advance and schedule them to be sent on particular days at particular times. So you can really get ahead with your marketing and avoid last-minute panics. List segmentation: it’s really important to be able to segment your list to ensure your emails are getting to the right audience. The free account allows you to create groups within your list, so your readers can select relevant topics when they sign up. This means you can send more targeted emails to them and they receive the information they actually want. Reporting: MailChimp has an extensive reporting tool, even with the free account. You can see exactly who opened your emails and how many times. You can see which links were clicked the most. You can tell what time of day was most popular. And you can even find out where in the world your readers are located. This gives you great insight into how your email marketing is performing and where you might need to improve. Integration: MailChimp offers seamless integration with other apps and services, allowing you to get the most out of your marketing. It works well with Customer Relationship Management software (CRMs), WordPress generally, the WordPress Gravity Forms plugin, ecommerce signup forms, and of course social media networks, to name a few. MailChimp’s customer service is unsurpassed. Their staff are super helpful – you can contact them with any query and expect a fantastic, speedy and friendly response. Rather than offering free accounts with no support options as a way to get people to sign up to their paid services, MailChimp has actually made ‘freemium’ a key part of their business model. Or at least this is the way it used to be. Unfortunately, due to their exponential growth, they can no longer offer unlimited email support for their Forever Free accounts. But this is simply testament to how well they’re doing and how great their product is. And the good news is, you still get 30 days of free email support after setting up your account. In addition, they provide a vast Knowledge Base full of articles and video tutorials with user guides, how to get started and how to get the most out of your account, as well as more technical information and a full glossary of terms. And last but not least, there’s the monkey. Or Freddie von Chimpenheimer to be precise. He’s the guy who helps you along your email marketing journey with helpful hints and funny messages. He gives you High Fives and Chimp Chatter and there’s even a Paper Buddy you can download and cut out to keep you company! Ok, that’s all very cute and charming, but does it actually have any relevance? Well, actually, yes it does. Because it’s all about the brand personality. Branding is very important to digital marketing and MailChimp has done a brilliant job creating brand loyalty around Freddie. He’s funny, friendly and, most importantly, memorable. Everyone loves a monkey and the way they use him in their branding creates instant warmth and likeability. In 2001, MailChimp hit their millionth user and to celebrate they gave away thousands of plushies, shirts, and of course the handmade Chimp hats as modelled by Guy in our recent video. You can even connect with Freddie via his very own Facebook page! Like the user interface, Freddie and the MailChimp logo have gone through various design improvements. The current Chimp was designed by Jon Hicks, who also created the original Firefox logo. We think you’ll agree, it’s pretty awesome. Now you know why we love MailChimp so much, we’d love to hear from you. Are you a fellow fan or a MailChimp virgin? What are your first impressions of the software after watching our introductory guide? Have you set up your new account yet? And have a Chimptastic weekend! Sign up to receive a series of emails packed with content marketing tips, plus lots of free resources and the latest Wildheart news. We work between Stockholm and Brighton and welcome clients from all over the world. 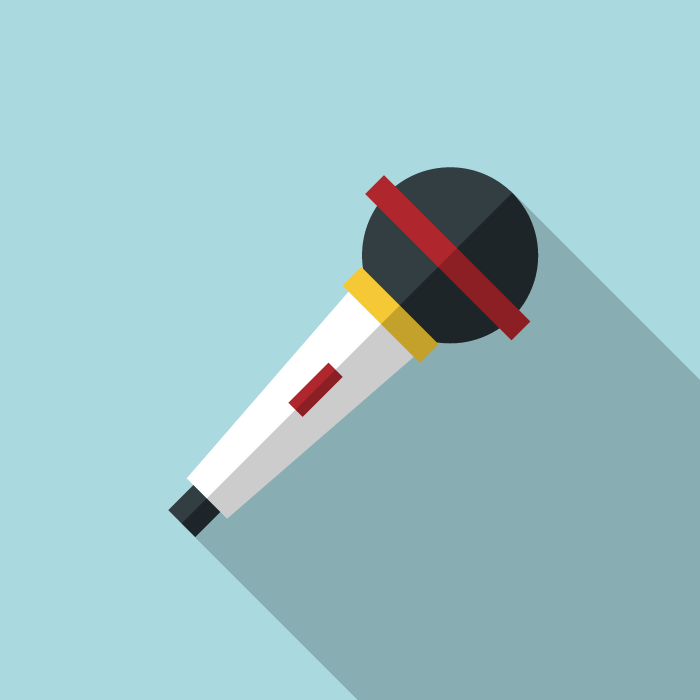 We're passionate about helping businesses grow with content marketing.